A new bride and party girl who marries merely to escape her former life. A naïve, solicitous husband who sees no harm in an ordered life. A honeymoon hike on a mountain trail. And a tragic outcome. Murder, manslaughter, a misunderstanding gone horribly wrong, or sheer accident? Perception is everything, isn&apos;t it? In any case, justice has a strange way of working itself out. 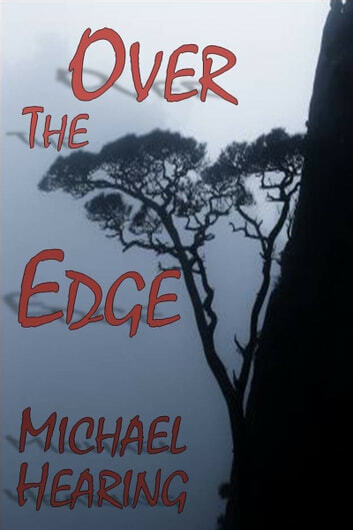 "Over the Edge" is a short story – a psychological thriller and a tale of horror – of approximately 3,700 words. u r the first to know. its done ive taken care of it. idk what comes next but im free now. dont worry about me ill c u soon. im going home now. The message concluded with an incongruous "LOL." But Amber was her best friend, and she, of all people, would understand. Their wedding, to Heather, had been more an inconvenience than anything else. Sure, she had agreed to it, had accepted Josh&apos;s proposal – after nearly two years of his trying to get her to – but mostly as a way out. For she had grown tired of her life – tired of the relentlessly revolving round of parties, the blackouts and hangovers, the awkward fumbling of men, the lack of money, the cramped apartment. So she had accepted. She had worked with Josh for the past two years at Capital Investments as his administrative assistant. The job paid well, and he had seemed like a good boss in the beginning. But, then, things soon began to change, and his importunities started up. Oh, yes, she remembered all right.